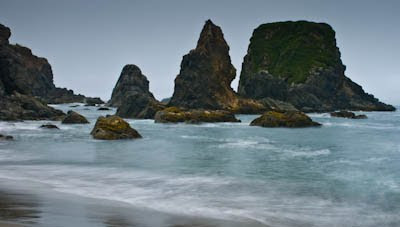 Harris Beach State Park, just north of Brookings, Oregon, is an ideal location for coastal photography. 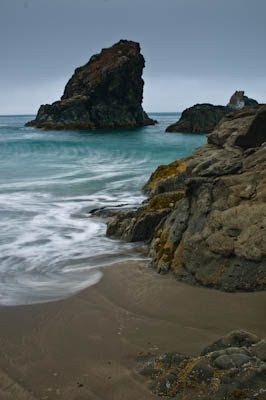 Direct access to beautiful beaches and rocks, wildlife and ever changing light. Evening photography of the sea stacks is always a great pleasure. High temperatures inland usually bring fog and gray weather to the coast. Only one sunset in one week.